I've been to a lot of different fashion shows in Dallas since starting my blog last year. So many that I undertook a new project were I would list them and make a one-stop depot for fashion & beauty events in the Dallas/Fort-Worth Metroplex - The Dallas Fashion Calendar. And after a year of watching and studying the Dallas Fashion Scene, I've come the the conclusion that very little is actually being done to promote Dallas fashion. 1. A lot of recent shows I've attended have been for charities, and while I'm not against charity work, the focus is on the charity and the designers fall second, sometimes even third. A lot of the events also lack ground work before and follow up after the event so people forget about the designers. 2. Where are the fashion editors and the fashion bloggers? I've attended a couple of shows that say they're promoting upandcoming designers but lack fashion media. How does that help the designers? 3. Where do I get that dress? I'm all for eco-friendly events but don't host a fashion show without a handout. You have to let attendees know how to contact the designer about buying. New designers can't live on runway alone. 4. Speaking of runways - there's been a few where the clothes is hard to see. That basically defeats the purpose of the show in general. I also recently became aware of certain cities having fashion weeks - Austin Fashion Week, Houston Fashion Week, St. Louis Fashion Week - cities I didn't think would have fashion week before Dallas. Having grown up in Dallas, I'm well aware that it use to called a "fashion capital" - once upon a time. People still allude to it every now and then. 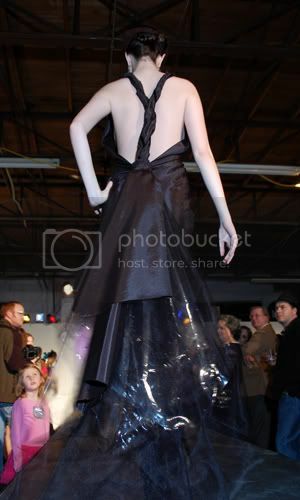 And what ever happened to Fashion at the Park, aka Dallas Fashion Week? Who knows. It was glamorous and everything a fashion week should be but I didn't feel "Dallas Fashion" was communicated very well. If you're thinking, "Stop complaining and do something about it!" - I'm a few steps ahead of you. Because I'm just a tad on the crazy side, and every fortune cookie has told me to, I'm planning a (hopefully) biannual event that could be Dallas Fashion Week. The main purpose would be to connect upandcoming designers with buyers, media, and anyone who can help promote them. As of now, I'm thinking 3-4 runway evenings with an Accessory Show to close out the night. Please note that the pictures had nothing to do with my rant. They don't pertain to my critiques. They're just from some local shows I've attended.